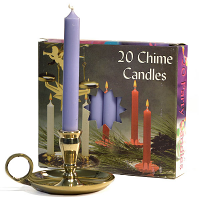 These unscented chime candles come in a nice selection of colors. 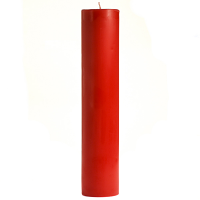 Our small taper candles are a solid color the whole way through. 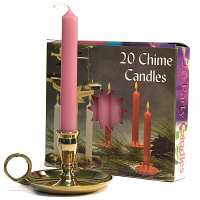 Chime candles come packed in a box of 20 of the same color. These mini candles are used in decorative spinning bell candlesticks usually around the holidays. You could also use these as birthday candles in a cake. 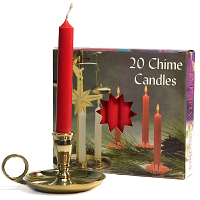 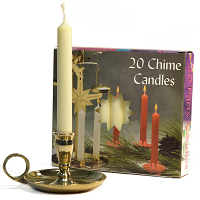 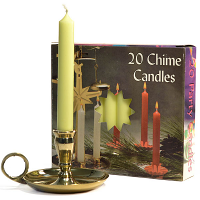 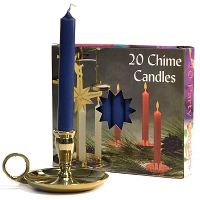 The chime candles are only half and inch diameter and burn for 2 to 2.5 hours.